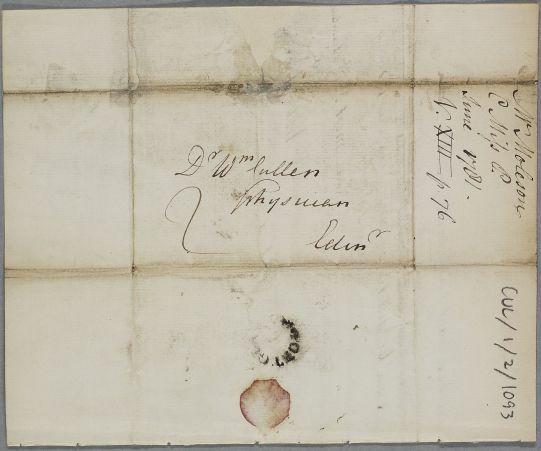 Letter from Alexander Molison, concerning the case of Miss Anna Porterfield of Duchall. The patient has been disturbed by reading John Buchan's Domestic Medicine which has convinced her she is consumptive. 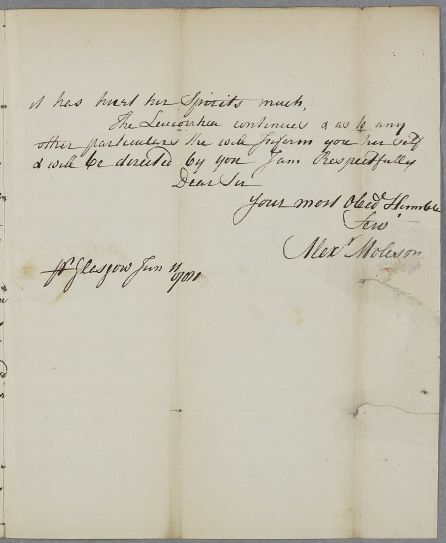 Summary Letter from Alexander Molison, concerning the case of Miss Anna Porterfield of Duchall. The patient has been disturbed by reading John Buchan's Domestic Medicine which has convinced her she is consumptive. 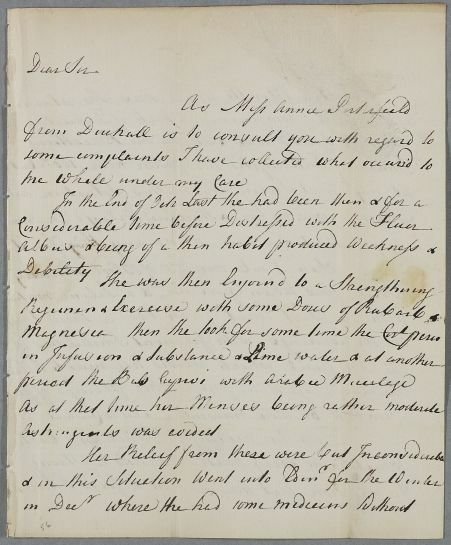 Case of Miss Anna Porterfield of Duchall who has a Flour Albus and related symptoms. 1: Dr William Buchan's Domestic Medicine, first published in 1769 and much reprinted, was a very successful "self-help" guide. 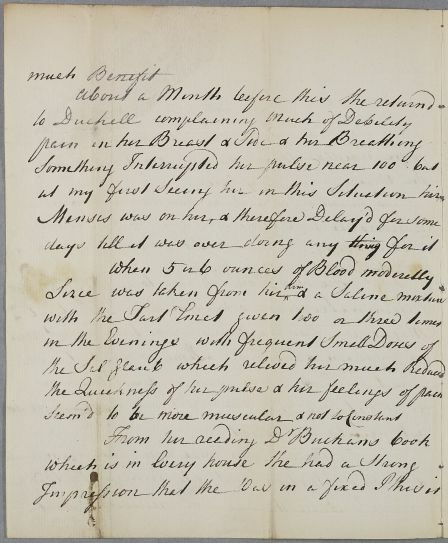 Cullen thought that Buchan's book encouraged reckless habits of self-diagnosis and treatment, but nevertheless began to write his own work on 'The Art of Preserving Health' aimed at a not dissimilar readership (unpublished manuscript in Glasgow University Library).